You'll be left with unforgettable memories of this lovely region - its serenity and heart-stopping beauty and, of course, days of idyllic cycling. Ride through stunning open fields of wildflowers and a village dedicated entirely to pottery. A short ride to lovely Evora before heading back to Lisbon or spending an extra night in Evora. With either tour pack option you can enjoy bike friendly, comfortable accommodations with private, en suite bathrooms, ranging from converted convents, country inns & manor houses to exquisite boutique and 5 start hotels - all chosen for the 3 C’s; comfort, charm and convenience to sights. All photos show the actual hotels we use. Bags left daily at reception and collected by 12pm. 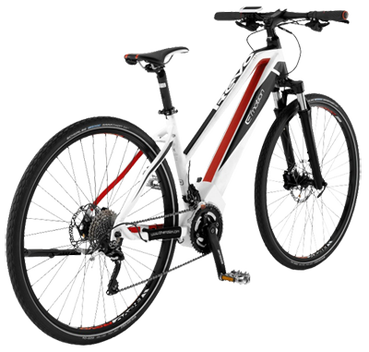 ​Our premium e-bikes feature powerful, German made electric motors and a discrete integrated, high capacity battery than can be charged both on or off the bicycle.